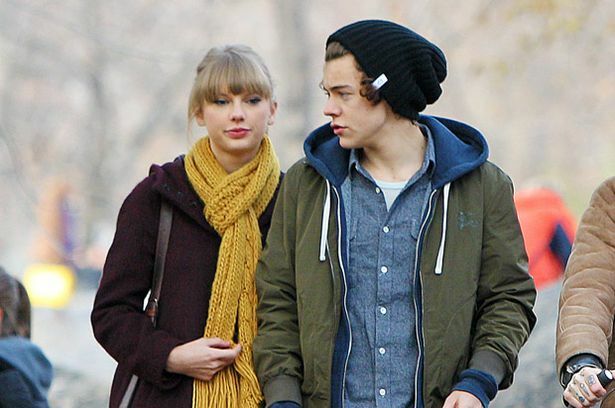 The 'We Are Never Getting Back Together' singer is taking solace in her work following her break-up from Harry last weekend after a holiday bust-up. She tweeted: "Back in the studio. Uh oh... (sic)"
Harry and Taylor cut short a break to the British Virgin Islands after a huge argument and went their separate ways, with him flying back to London and her subsequently appearing at the People's Choice Awards in Los Angeles on Wednesday (09.01.13). Taylor is famed for writing tracks about her exes - which include Conor Kennedy, Taylor Lautner, Jake Gyllenhaal and John Mayer - but while many fans guess as to who the subjects of 'I Knew You Were Trouble' and 'Begin Again' are, she rarely tells. The only song she has recorded openly exposing an ex-lover is 'Dear John', about John Mayer. The track includes the line: "Dear John, I see it all now that you're gone / Don't you think I was too young to be messed with?" She said: "Well, it's not like it's in fine print but music is absolutely everything that I am and everything that I stand for.